Ah, karaoke. It can be hilariously painful to sit through, or an absolute joy for the tone deaf and vocally-gifted alike. Where ever you sit on the scale, try your luck at the Melbourne Karaoke Festival, a competition (and killer night out) for karaoke enthusiasts that will see participants belt out the classics in front of a panel of judges. The competition in Chinatown will be open to solo divas, harmonising couple, and groups of three or more, and the best performers from each category will take home a $1000 cash prize and spot prizes for other dazzling performers. So whether you feel like Queen Bey circa Lemonade or a Destiny's Child-era Beyoncé, there's something for your inner karaoke queen. 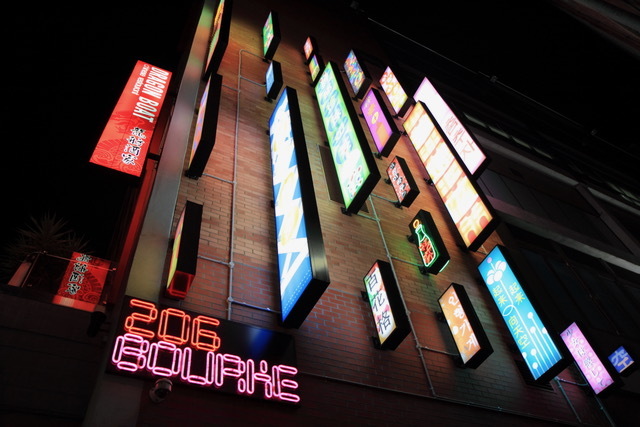 The first 400 people to get to 206 Bourke Street will receive a free beer from Sample Brew's pop-up bar, who will be pouring Dutch courage for the karaoke singers. Worked up an appetite from all that singing? Chinatown dumpling houses Tim Ho Wan, China Red, China Chilli and Dragon Boat will be offering takeaway dumplings on the night, while St Gerry's will be frying up doughnuts for contestants hitting the high notes. Head to the 206 Bourke Street website to register for your place on stage. Practice your singing and check out our favourite karaoke bars.